The goal of CCABH’s Vision Services is to promote the maximum level of independence for those with vision loss. When an individual is referred to our agency, a caseworker will meet with the individual in their home to identify any functional limitations due to visual impairment. Based on this meeting, a number of services may be available to eligible individuals. For those individuals with vision loss who are eligible, CCABH offers a variety of low vision aids and appliances, including: hand-held magnifiers, low vision clocks, large-print items, sunglasses, and other items. The caseworker will educate the client on the availability of aids and the uses of these aids in the home of the client. 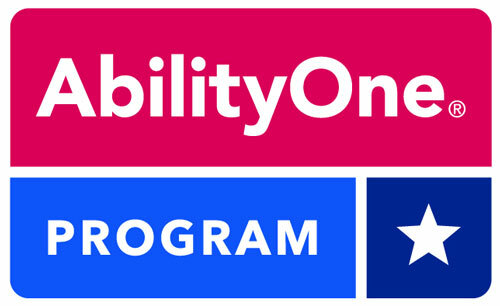 Individuals with vision loss who are eligible may receive support services, including: assistance with correspondence and mail reading, limited shopping, transportation to medical appointments, repair or maintenance of low vision aids, provision of safety aids such as smoke alarms and night lights, and other applicable services. All services are based on the needs of the individual. The caseworker will develop a service plan with the client and determine which support services are necessary to maximize the client’s independence. Please call (814) 536-3531 if you would like more information for yourself, family member or friend. The CCABH works with the Bureau of Blindness and Visual Services to provide Orientation and Mobility Training, Rehabilitation and Employment to individuals with vision loss who are eligible for these services. Leroy suffers from macular degeneration. 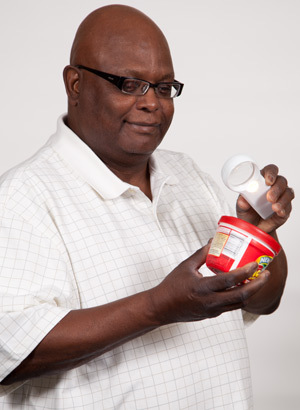 Here he uses a pocket magnifier provided by CCABH to identify a can of soup. 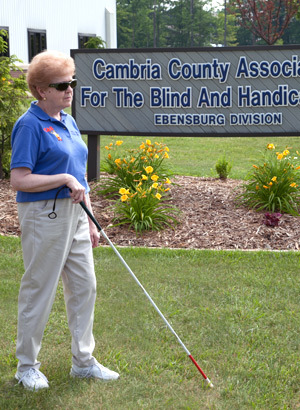 Click to learn more about vision services provided by the Cambria County Association for the Blind and Handicapped. Here we see Bernie using a white cane. She received Orientation and Mobility Training from the PA Bureau of Blindness and Visual Services through a referral from CCABH. Click here to learn more about how CCABH works to prevent blindness in our community.